Dreams have been an integral component of human existence throughout our documented history. In this world we create for ourselves, a dream allows us to do anything or go anywhere. 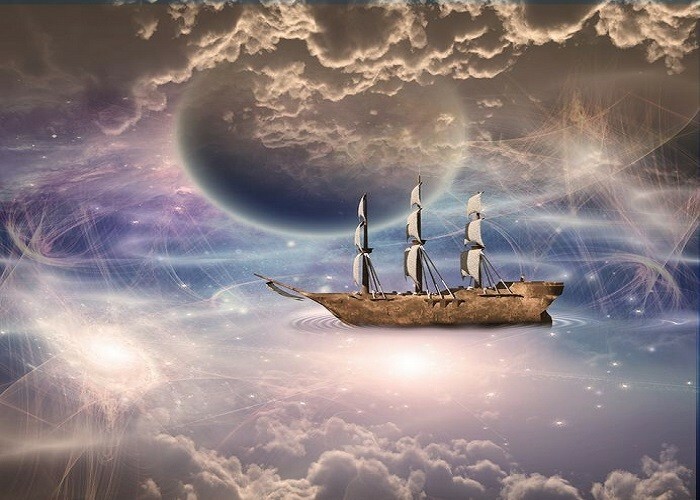 Lucid dreaming can be used for problem-solving purposes. Even some of humanity’s greatest stories have been inspired by dreams. Authors from H.G. Wells to Stephen King to Mary Shelley have entertained millions because of what they remembered while dreaming. To unlock this trait, it is necessary to know how to have vivid dreams. This is what can help you achieve this goal. Some people say they don’t dream at night. Others say they dream every night and can recall vivid details from dreams they had years ago. Why is there such a variation in dream memory within the human population? There are some personal habits that can help to begin recalling dreams, such as starting a dream journal. Having a consistent bedtime routine can be helpful as well. The mechanics of dreaming, however, show us that for people who can sleep through multiple REM cycles without interruption, there is less of a chance for dream recall. What does this information mean if you want to know how to have vivid dreams? Remembering a dream, for those who are heavier sleepers, may require three specific elements. ​Increasing the vividness of the dream so the brain is more likely to transfer it to a memory center for long-term storage and recall. Improving the color, variety, and uniqueness of the dream to the point where it may cause an individual to immediately wake from it. Changing sleep habits so that the last cycle of REM sleep occurs just before the morning alarm clock sounds. People who remember their dreams also tend to respond strongly when someone calls their name when they are awake. It is up to you to find a sleeping routine that works with your REM cycles so there is a better chance of remembering a dream upon waking. You can then use a dream journal to immediately write down the dream after waking, which transitions the brain into moving the dream into memory. 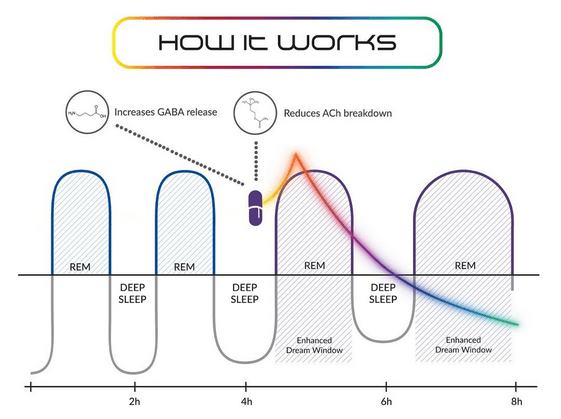 For the other two elements, a product like Claridream Pro may be able to help you have vivid dreams on a regular basis. This dietary supplement offers a combination of ingredients that work to elevate GABA levels while stopping the brain from breaking down a neurotransmitter called Acetylcholine. It may not work for everyone, but it does offer a strong possibility for better, more colorful dreams. How Does Claridream Pro Work to Improve Dream Vividness? Claridream Pro takes advantage of the benefits that 5 key ingredients provide to improve the potential of dream recall. In past civilizations, passionflower fruits were used as a sedative. It creates feelings of fatigue because it promotes the release of GABA in the brain. As GABA levels increase, the central nervous system begins to calm down. There is a noticeable reduction of anxiety when there is a measureable increase of GABA. For many, the results allow for insomnia to be conquered. At the same time, increased GABA levels encourage the dreaming centers of the brain to be more active. When you’re falling asleep, the dream centers are waking up. That provides a better chance to have dreams which are vivid and complex. 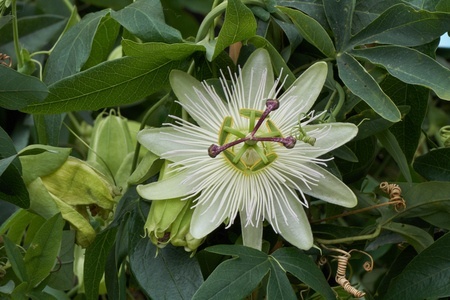 Passionflower can also be used for asthma, ADHD, seizures, and high blood pressure. This root has been used for medicinal purposes since the beginnings of the first documented human civilizations. It comes from a plant that is native to Asia and Europe, but has spread to North America. 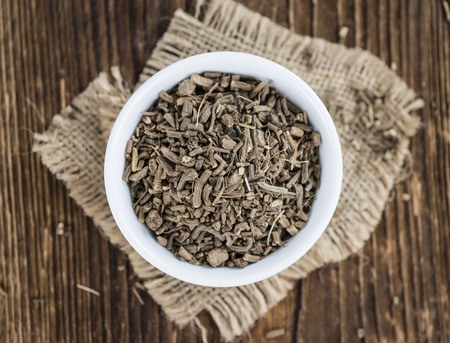 Hippocrates wrote about the uses of valerian root during his studies of medicine. It can still be used to calm anxiety issues, treat insomnia, and help with menopause symptoms. It will also inhibit the enzyme that is responsible for destroying GABA. That is why it helps to promote vivid dreams and an increased chance of remembering them. Chamomile tea is an old home remedy that is used to promote better sleep. It is such a safe solution for promoting calm that this natural sedative is recommended for children who struggle with sleep. How old is this remedy? 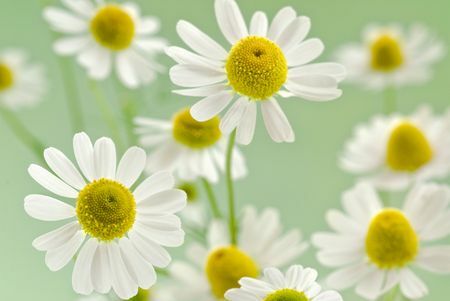 Ancient Egyptians discovered that chamomile could help provide relief for fevers. Chamomile works because it can relax the spasms of the intestinal tract while promoting a calmer mental state at the same time. The active chemicals work on the brain in the same way that a mild sedative would work, but without the same threat of negative side effects. For those who struggle to get to sleep, chamomile offers the chance to calm the central nervous system. This promotes a sense of safety and well-being. When combined with the mild effects of sedation, a dream state can be achieved with consistency and the REM sleep cycles can be promoted. 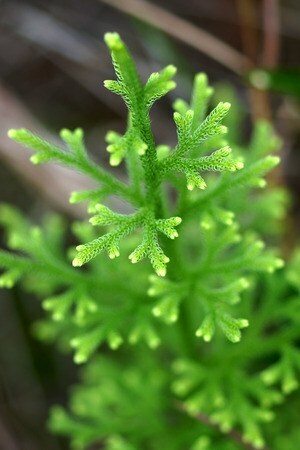 Sometimes referred to as Wolf’s Claw, Chinese Club Moss produces a component that is called Huperzine-A. This ingredient works to inhibit the enzymes that would normally degrade acetylcholine in the brain. Acetylcholine is partially responsible for the transfer of observed moments into memories that can be recalled. After reading this, if you remember doing so tomorrow, it was because there was enough acetylcholine present to transfer your observations today into recalled memories tomorrow. Because there is less breakdown of this neurotransmitter, the human brain can enhance the process of storing memories. It promotes a greater cognition of the events that are happening at any given moment. That includes moments of dreaming. 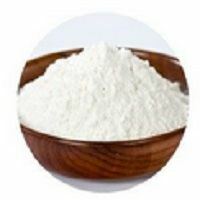 Huperzine-A is also called selagine, which can create some ingredient confusion, as there is a medication called selegiline, sold under the brand-name Eldepryl. Huperzine-A is also sold under several different brand names, including Cerebra. That can sometimes be confused with prescription medications like Celexa, Celebrex, or Cerebyx. This ingredient can also promote increased energy levels, focus, and alertness, which can improve the vividness of a dream during sleep. Choline bitartate, though it is usually just called “choline,” is a macronutrient that is similar to what the B Vitamins provide the body. Humans produce their own choline in the liver. Many animal proteins contain choline as well. This ingredient can be found in many foods. Muscle meats, animal liver, fish, and poultry eggs all have high levels of choline in them. It can also be found in non-animal foods as well. Spinach, peas, legumes, nuts, and wheat germ all contain choline at some level. If the ingredient sounds familiar, it is because choline is offered as a workout supplement. When taken in higher doses, it can extend muscle energy reserves so people can work out longer and recover with greater speed. Choline can also help to prevent neural tube defects during fetal development. As a non-workout supplement, choline has been found to be useful in treating liver disease, certain memory-based health conditions like Alzheimer’s disease, and it can help treat certain types of seizures. Choline is also a precursor to the development of acetylcholine in the brain. With more of it present, the neurotransmitter can be produced at greater levels. That promotes a prolonged and enhanced state of dreaming. How Does Claridream Pro Encourage Vivid Dream States? 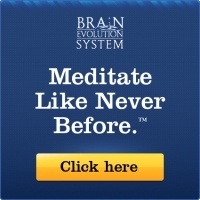 Claridream Pro takes advantage of a theory in neuroscience that is called Hebbian Theory. Although it isn’t always true in every circumstance, the basic foundation of this theory is that any neurons which fire together will eventually “wire” themselves together over time. Let’s say you have one neuron in your brain that fires when you’re about to fall asleep. This one tiny neuron tries to create a dream state for you, but it can’t really get the job done because there are so many other neurons that are firing. Your brain can’t pick out that one neuron at all. This will continue on until something changes. You must learn something new to change the environment. You must also change the environment within the brain to encourage more neurons to fire. As a person learns a new skill, additional neurons will fire with the first neuron, almost simultaneously. At first, the number of neurons firing will remain small, but it does slowly build. Over time, engrams form in the brain and the skill being learned becomes enhanced. Claridream Pro helps to change the environment. When you add new skills, such as changing your bedtime routine, creating a dream journal, or just discussing the dreams you remember with others, the possibility of engram building is increased. For some, a product like Claridream Pro can have immediate results. For others, it may take some time to develop these engrams. And there will always be some people who are such heavy sleepers that remembering a dream is next to impossible. Will a Product Like Claridream Pro Work for Me? Does Claridream Pro work? Yes. Does Claridream Pro work for everyone? No. Although medical science has rapidly advanced over the last century, there are still no absolute guarantees of success. Physicians will even have you sign medical waivers that state you understand a medical condition may not be resolved or could return, even if a surgical procedure is successful. For individuals who can safely take Claridream Pro, there is an excellent chance that it will improve the color, vividness, and even the lucidity of daily dream states. There are certain population groups who should not take Claridream Pro or should seek medical advice before doing so. Women who are pregnant or who are breast feeding should not take Claridream Pro. Because the ingredients of Claridream Pro are designed to alter a mental state, it should not be taken by anyone who is already under a doctor’s care for a mental health concern. Some ingredients are strong enough on their own to use as a treatment for schizophrenia, so Claridream Pro may interact negatively with other prescriptions that are being taken. Speak with a medical professional before taking Claridream Pro if you are taking an antibiotic, an antidepressant, or any other prescription medication. It may be a safe inclusion to your current treatment plan, but that can only be determined by your doctor. The primary active ingredient in Claridream Pro is huperzine-A. This ingredient is known to slow a person’s heart rate and could be problematic for those who already have a slow heart rate. It may also cause unforeseen complications in individuals who have heart health concerns. People who have a history of epilepsy or seizures should only take Claridream Pro under direct medical supervision. There is a concern that it could cause seizures to return or make them worse. Minor side effects include headache, constipation, and an increase in mucous or fluid secretions. Stomach cramps are sometimes reported, as are muscle cramps. However most people will not experience any of these side effects. 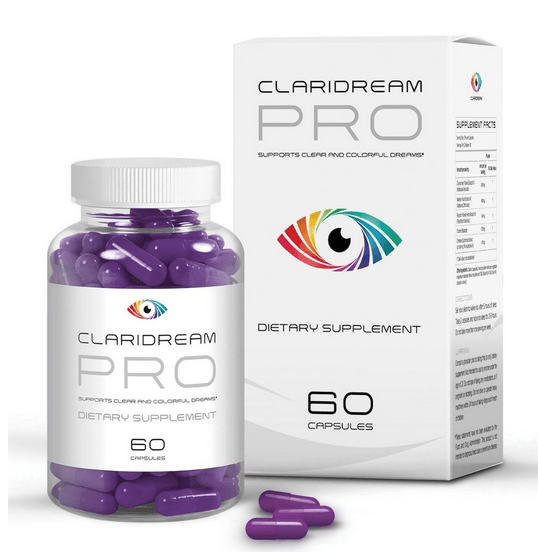 Anyone who is allergic to any of the ingredients of Claridream Pro should not take the product at any time. An allergy may also develop after taking Claridream Pro successfully, which may start with a rash or be a serious allergic reaction. To achieve a vivid dream state, it is necessary to reach a rapid eye movement (REM) sleep state. If you remain in the stages of sleep that occur before you reach the REM stage, dreams are not going to occur. Most people experience their first cycle of REM sleep about 90 minutes after first falling asleep. For some, it can be as soon as 60 minutes after falling asleep. Each REM cycle lasts longer than the previous one, which is why 7-9 hours of sleep is recommended for most individuals. That provides 3-4 full cycles of REM sleep. Dreams are most often remembered when waking directly from the REM stage of sleep. That’s why timing your sleep cycles to wake up during your last stage of REM sleep, when combined with a product like Claridream Pro, can help you remember very vivid dreams. You can also increase the chance of experiencing a vivid dream by incorporating these ideas into your daily routine. Remove distractions from your sleeping environment. Let it be a place for real rest. Take out computers, items related to work, and even mirrors that rob you of your sleep focus. Use aromatherapy to enhance your sleep environment. Mugwort and lavender are especially beneficial when attempting to achieve a vivid dream state. Consider changing the color scheme of your bedroom to earth tones. Blue and green are also calming colors. Add any decorations to the room that help the space feel peaceful and comfortable. Use affirmations right before going to sleep that promote dream retention. A simple phrase, such as, “I will remember my dreams tonight,” can set the stage for an incredible dreaming experience. Think about making a dream altar. People have a spiritual core that is given a high priority. By creating a dedicated space to your dreams, you’re adding a subconscious level of importance to future dreams. It is possible to achieve a vivid, colorful dream state naturally. Many people can do it on their own without any assistance. Even lucid dreaming can be achieved in such a way. For those who struggle with dream recall, however, there are solutions to be found. One of those solutions could be Claridream Pro. Knowing how to have vivid dreams means creating a structure, in the mind and in your home, that will encourage dreams to be transferred to the brain’s memory centers. By following these ideas, you may be able to achieve your goal of having vivid, colorful dreams in the coming days. If you think that Claridream Pro is something you would like to try out, then click here to learn more.